What else can I say but WOW, what a day! On April 16th, 2012, I made the trek to Toronto. It was an early morning as I had an appointment that I did not want to miss, line or no line to get into the Metro Convention Centre. 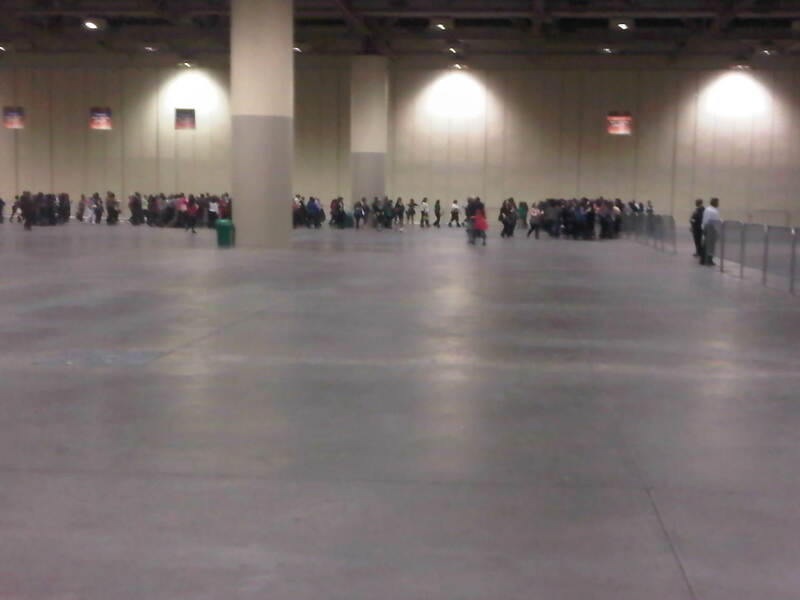 I was one of the fortunate people to get into the Convention Centre first. I was worried that it would rain, even though it didn’t, and I was pleased despite being prepared. 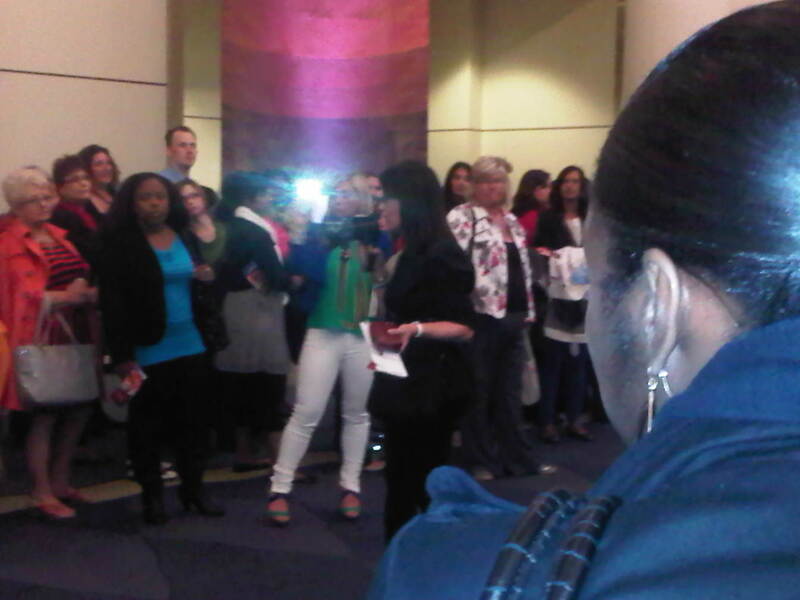 Yes, the Metro Convention Centre wasn’t prepared for 8,000 Oprah fans to arrive this early for the evening show. As well, the line outside was extended the full circumference of the Metro Convention Centre, which caused issues for people on Front Street. It was completely understandable that unforseen chaos caused issues. Oprah stated that she was in AWE when she seen the line up. It was very sad to see that a few of the first FORTUNATE 450 people in the building didn’t take into the account the 8,050 people waiting outside. There was yelling and arguing over who was their first and that they should be at the front of the line. Luckily, Oprah taught her staff well. A fabulous woman (I really don’t know her name) came out and reminded those who were unsatisfied that they were here to see Oprah and in the spirit of Oprah, we should move forward rather than dwell on this unfortunate mishap. 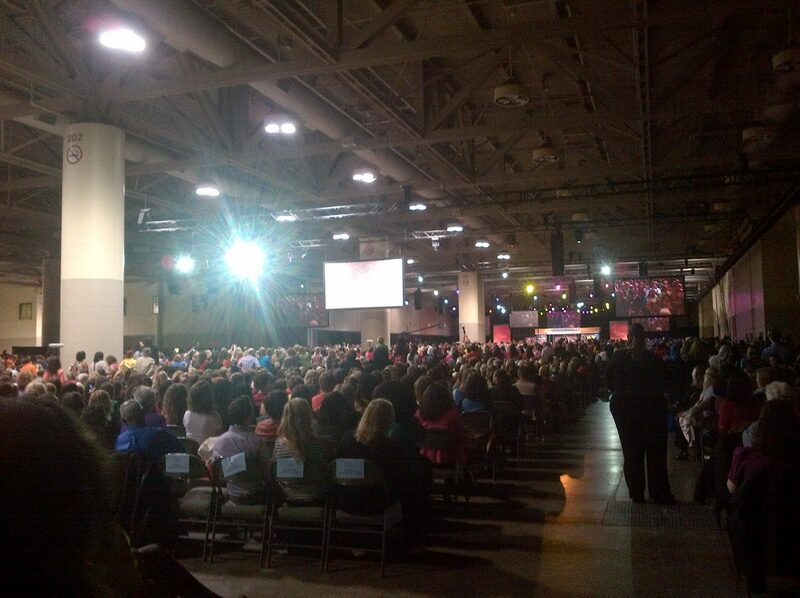 We were then taken into another waiting area of the Convention Centre. There we heard the loud applause from the audience who was in the morning Oprah Show. This time, we were segregated into groups, Executive, Emerald, General Admission, and Festival (I was Festival, the wayyyyyyy outs). Again, a flurry of arguing arose which exasperated the OWN team and the MTCC Security. I was seated (on the floor) with a bunch of Asian ladies who accepted me into their family for the night! I giggled as we watched the commotion in front of us. As I understood their frustrations, there was truly no solution to the mishap as it was obviously unforeseen. When Ellen Degeneres was here last year, you wouldn’t have even known it! If the tables were turned, would these people also complain that they couldn’t get through Front Street because of the Oprah Fans taking it over? A few of us Festivalers were then given pink bands. Hmmm, wonder what these were for? Upon entry, we were sent to the back of the room. That room was REALLY big. I was like WOW, the stage looks like a small container from here. I took my seat and was so tired at that time. All I wanted to do was relax. As people slowly started to arrive, I was amazed at how slowly the room filled up. I started feeling even more blessed that even though I probably would have ended up with the same seat, that I was able to relax a little earlier. I had limited wi-fi and was more frustrated over that. I continued to play with my phone and tablet and completely missed Deepak Chopra over it. It made me giggle thinking about people who go Orca Whale Watching and keep their face behind the camera to get the best picture rather than enjoying the Moment! I was doing the same. I went outside (that’s another blog post today) and returned to my chair rather quickly. I didn’t want to miss another moment (especially Tony Robbins). While listening to Tony speak his words of wisdom, a gentle touch tapped my shoulder and beckoned me to follow her. I followed, and I followed and I followed..I seen a friend in the crowd, I shrugged…then I followed some more..until I was ushered into my seat in the third row from the stage! OMG! Could this be real I asked the lady beside me? Patience and chance had taken over once again! So for all of those tweets that were seen online. The hateful messages to the MTCC and OWN Network. The emails that I received from a local news radio station on my take of the tweets. Here is your answer. Remember, forgiveness starts with the little things. We can never move ahead until we let go of the small stuff. More later today as it was an incredible, wonderful, and proud moment in my life. Previous Previous post: Oprah’s Fight Club Book Club? Next Next post: TORONTO REVIEW: O! 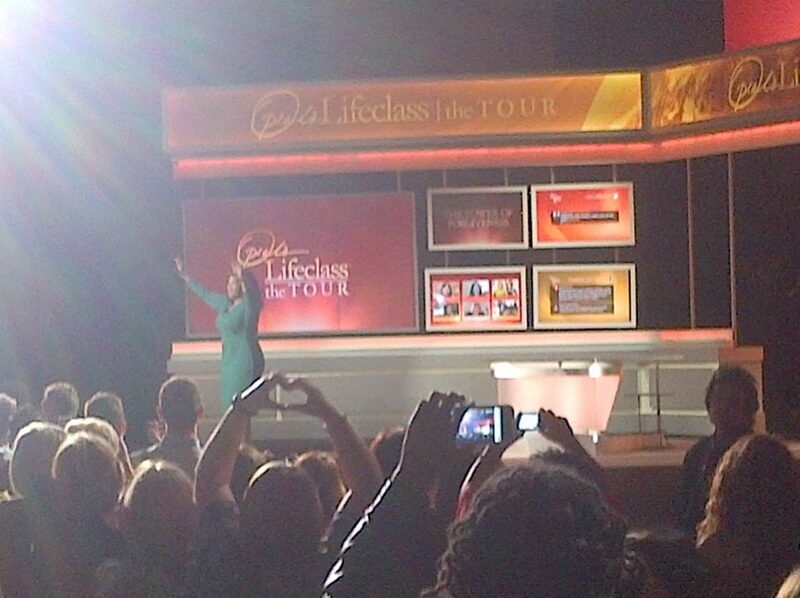 My God, Oprah’s Lifeclass was Fantastic!